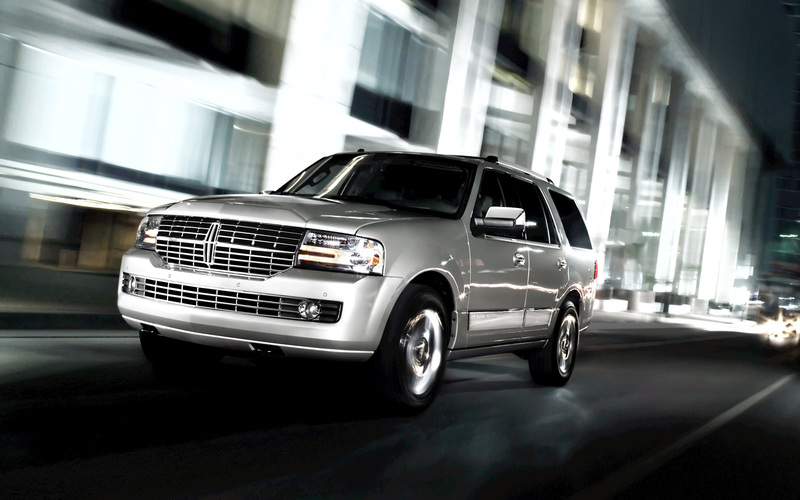 Remember the early 2000s, when one of the coolest cars you could own was a Lincoln Navigator? Thankfully, fuel economy concerns have made this beast of an SUV less popular, but Lincoln is hoping to change that with an upcoming redesigned model. The new Navigator will trade its V8 engine for a smaller turbocharged EcoBoost V6, global Lincoln director Matt Van Dyke told Motor Trend. The new engine will be a 3.5-liter turbocharged V6. It’s expected to make 365 horsepower and 410 pound-feet of torque, the same amount of horsepower it produces in the Ford Taurus SHO and Lincoln MKS sedans. The Navigator’s estimated torque output is a significant bump over those cars’ 350 lb-ft, though. Despite its smaller displacement, the 3.5-liter EcoBoost should also be more powerful than the current Navigator’s 5.4-liter V8, which can only muster 310 hp and 365 lb-ft. However, the biggest benefit will come in terms of fuel economy. A 2013 short-wheelbase, 4×4 Navigator returns 14 mpg city and 20 mpg highway, so there’s definitely room for improvement. The Navigator is basically a posh version of the Ford Expedition, and that will be the case with the redesigned, EcoBoosted model. The Ford will get a more powerful 5.0-liter V8 (360 hp and 380 lb-ft), with an EcoBoost engine as an option. A more fuel-efficient engine should give the Navigator a leg up on its arch rival, the Cadillac Escalade. Like the Lincoln, the Escalade is a luxury version of a big proletarian truck, in this case the Chevrolet Tahoe/Suburban. Still, both Americans have been rendered obsolete by the technologically sophisticated Mercedes-Benz GL-Class, which does have an optional V8. There’s even an AMG performance model. Lincoln isn’t prepared to offer the breadth of choices Mercedes does in its flagship SUV, but that doesn’t mean it can’t give customers what they want. A powerful yet fuel-efficient engine is a good start, but let’s hope that the rest of the Navigator reflects the same smart thinking.